WASHINGTON — With its iconic boardwalk, family-friendly beaches and vibrant night life scene, Ocean City, Maryland, has become a go-to summer destination for Washingtonians. Whether it’s your very first time visiting — or just your first time out this year — here’s a quick guide, filled with tips from locals, to help you navigate one of the mid-Atlantic’s most exciting beach towns. 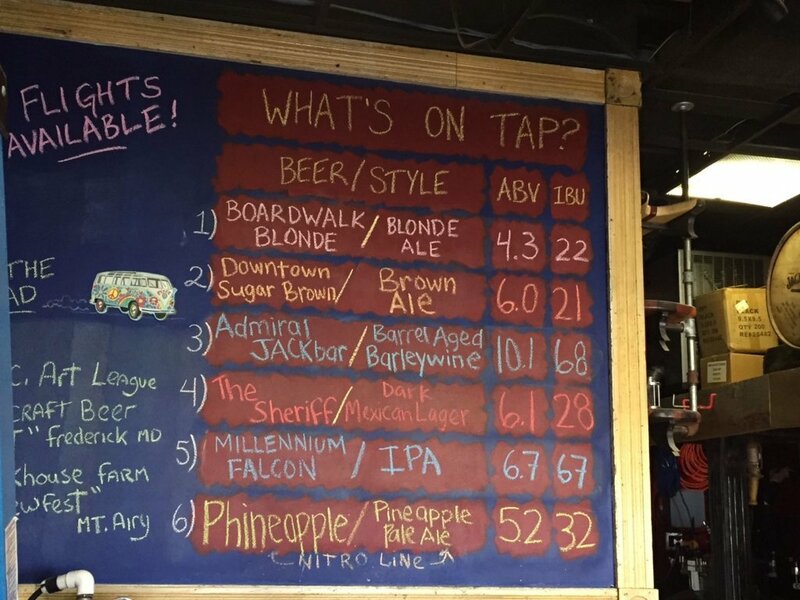 This year in Ocean City, it’s all about new additions. 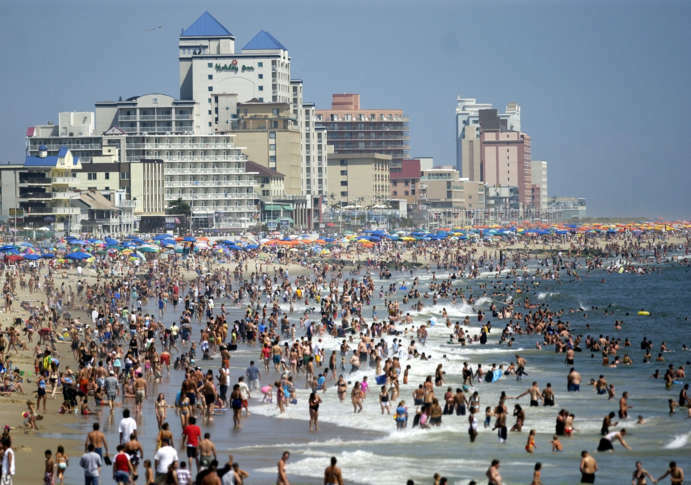 “It is bustling in Ocean City right now. If you ride up and down the highway, there’s new construction, new businesses opening,” said Melanie Pursel, executive director of the Greater Ocean City Chamber of Commerce. There are plenty of places where adults can let loose (Seacrets, anyone? ), but Pursel said expanding options for family fun has been a recent focus in Ocean City. There are the obvious choices, such as a visit to the Jolly Roger Amusement Park or one of the many mini-golf courses, but there are also free activities to keep families of all ages entertained. “Throughout the entire summer, there’s always something to do,” Pursel said. Ride the renovated Ferris wheel: The Ferris wheel at the Jolly Roger Amusement Park — “It’s that iconic Ferris wheel you see in so many images and photographs of Ocean City,” Pursel said — got a little TLC over the winter. It will be back and ready for rides by Memorial Day. Free movies: June 25 through Aug. 17, catch free movies on the beach Monday and Friday nights at 27th Street and the beach. Ice cream in the park: Have a couple of ice cream lovers in your group? You’ll definitely want to make Sundaes In the Park part of your beach vacation. Every Sunday from June 17 through Sept. 2, enjoy free ice cream sundaes and live entertainment at Northside Park. Camp: Every summer the Ocean City Recreation and Parks Department offers more than 30 different summer camps that appeal to a wide variety of interests. Most of them run Monday through Thursday, typically from 10 a.m. to 2 p.m. Check the website for details on times and topics. Nightly light show: Back for its second year is a nightly light show, called 100 Nights of Lights, which runs every 20 minutes from 9 p.m. to 11 p.m. from Memorial Day Weekend through Labor Day. The show is free. Free fireworks displays: You’ll find fireworks at North Division Street on the beach Monday and Tuesday nights at 10 p.m., and at Northside Park (125th Street and Bay) Sunday nights after the Sundaes in the Park concert. Dance party: Every Tuesday from 7 p.m. to 9 p.m. at Ocean City’s Caroline Street Stage on the beach (July 3 through Aug. 28), dance fans can let loose to live entertainment. Pack your beach chair and a blanket for the free event. Sunset Park Party Nights: Also back (and free) for 2018 is the Thursday evening “Party Nights” at Sunset Park, 7 p.m. to 9 p.m., July 5 through Aug. 30. Competitive castles: The annual Family Beach Olympics will be held June 26 through Aug. 14 at 27th Street from 6:30 p.m. to 8:30 p.m. Events include sand castle contests, tug-of-war, relay races and more. Wild horses on Assateague: A quick drive to check out the ponies and wildlife on Assateague Island is always a nice outing for little ones and grown-ups, alike. A Marine-themed museum: The Ocean City Life-Saving Station Museum is another great option. “It does all kinds of neat programs for kids, even for young adults, on beach safety, learning about the aquatic life — all of the different things that you see when you’re out on the beach, as well as a little bit of history about Ocean City,” Pursel said. Take to the water: Kayaking, paddleboarding, surfing and other water sports are also a big part of the summer lifestyle at Ocean City. Rental shops are sprinkled throughout Ocean City and Delaware, especially along the bay. There’s no shortage of places to find fresh seafood, local crabs, cold beer and homemade ice cream in Ocean City — and everyone has his favorites. Check out these recommendations from WTOP staff on where to find everything from the tastiest burgers to the best bloody marys. Keep your eyes peeled for a few new additions for the 2018 season. 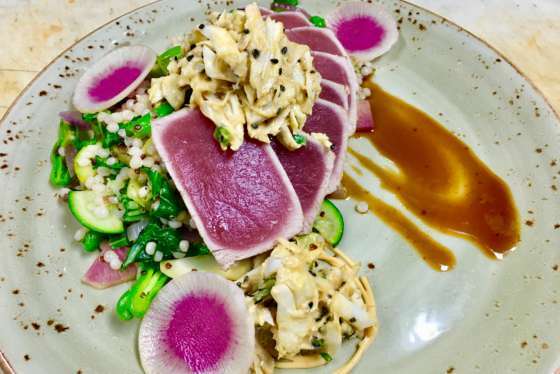 On the commercial fishing harbor in West Ocean City, the old Captain’s Galley building is MAD Fish, a surf and turf spot with breathtaking views, Pursel said. The Park Place Plaza, just before you get into town, will bring some new options to the area. “We’re going to have the new Park Place Jewelers, Dolle’s Candy … and then Tequila Mockingbird, which has been up north; they’re doing a second location right there,” Pursel said. 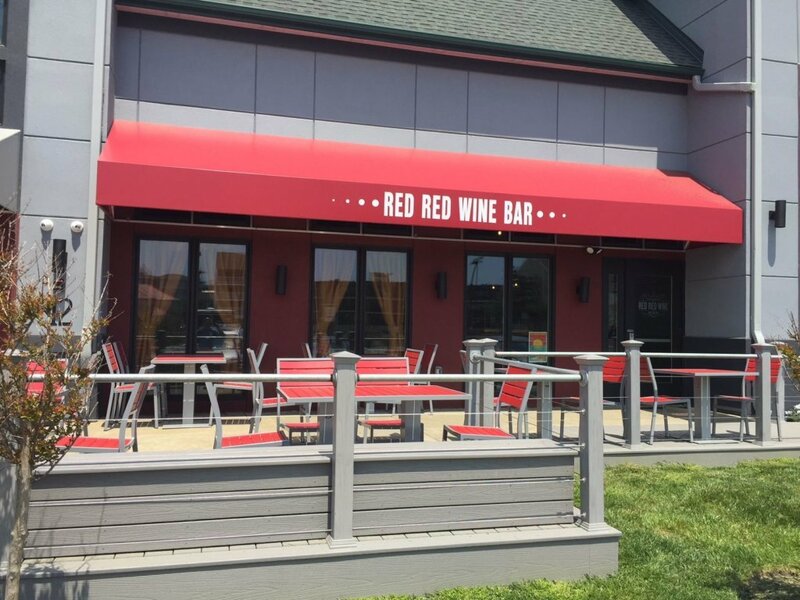 Annapolis-based DRY 85 and Red Red Wine Bar opened over the winter. “Those have been very exciting — really beautiful, unique and eclectic,” Pursel added. Phillips Seafood House closed and reopened as Bayside Cantina, and a Starbucks will open in the northern part of the city, Pursel said. Be sure to check out these activities, recommended by frequent visitors and locals, alike. Boats at the beach: Boat fanatics will enjoy a trip to the town’s commercial harbor, which Pursel said is one of the oldest working harbors on the East Coast. “We have boats that are coming in from all over; they’re unloading here, right at our docks. That’s why our restaurants have some of the freshest seafood in the mid-Atlantic region,” she said. Fresh seafood at Fish Tales: Like to watch the boats and eat? Local resident John Buono recommends a trip to Fish Tales on Herring Way. “It’s a working marina. You can go down there and watch the boats come in. They cut the fresh tuna there for the sandwiches, which is one of my absolute favorites. You can sit there all day on an Adirondack chair and watch the boats come out and they’ll bring you your sandwich,” Buono said. Small-town charm: Need a change of scenery? The Maryland towns of Berlin and Snow Hill are a short drive away (15 to 30 minutes). Grab lunch, take a brewery tour or go on an eco-adventure while you’re there. And be sure to check out Berlin’s farmers market on Friday, Pursel said. OC Air Show: The annual Ocean City Air Show, featuring the U. S. Air Force Thunderbirds, returns June 16 and 17. ArtX: Aug. 25 and 26, catch music, art and film at the free art show, ArtX. Bad weather keeping you from spending the day at the beach? There’s still plenty to do. 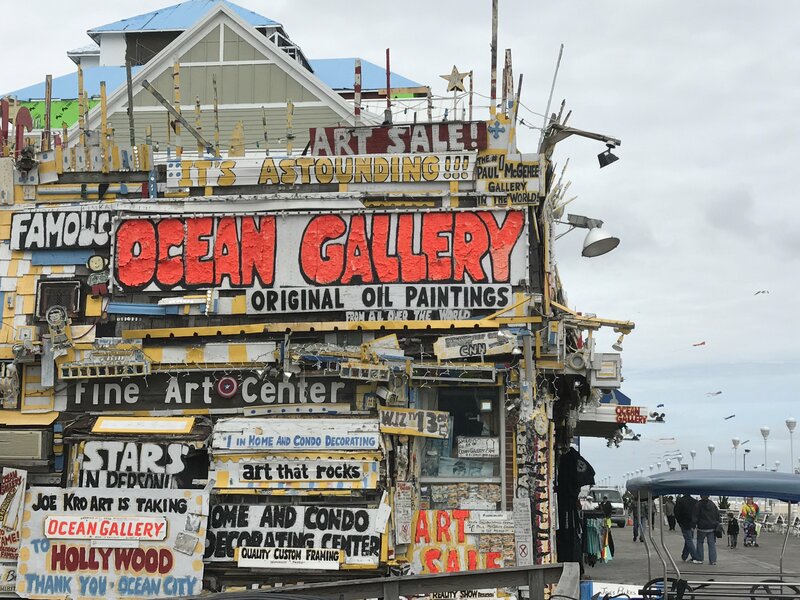 Check out local art: Pursel recommends catching an event or exhibit at The Art League of Ocean City. Get out some energy indoors: Take the kids to release some energy at Planet Maze, an indoor facility with a climbing maze and laser tag. Of course, there are endless options for shopping and eating, should the rain move in. “There’s plenty to do in Ocean City, even if it’s not a perfect beach day,” Pursel said. Meters: There is plenty of parking in town, and much of it is metered along the main roads. Pursel recommends downloading the Parkmobile app, so you can refill the meter without giving up your spot on the beach. Lots: The Inlet lot at 809 S. Atlantic Ave. has 1,200 parking spaces and is located close to the boardwalk and beach. Information on additional lots is available here. Park & Ride: On busy weekends, such as Memorial Day and Fourth of July, the Park & Ride is recommended. Park your car in West Ocean City and take the shuttle downtown for $3. Bikes: Lots of people get around town on bikes, mopeds, scooters and by foot. Bike rental shops are scattered throughout town. Lodging at Ocean City is a real mix of hotels and home and condo rentals. Pursel said those looking to be right in the center of the action might prefer an oceanfront room near the boardwalk or inlet. Visitors looking for more of a quiet escape will find that in the northern part of the town. There are several new hotels coming online for the 2018 season. Visitors traveling in on Route 90 will see a newly renovated Residence Inn, and a Country Inn and Suites just opened on 123 Street. Pursel said the Quality Inn on 33rd Street is now a Double Tree. “And the famous Marlin Moon Restaurant that was in West Ocean City for so many years at the Francis Scott Key is coming back to that location,” she added. A new Hyatt Place replaced the old Seascape hotel on 15th Street, and a new Hampton Inn is being built in West Ocean City. With so many new hotels, Pursel said it’s easy to get a deal, especially with the city’s midweek summer savings promotion. “Coming down Sunday through Thursday is the way to go. You can get great deals on hotels, golf, amusements, so that’s another little secret,” she said. Another great resource: OceanCity.com offers visitors tips for finding the perfect place to fit their needs — from pet-friendly accommodations to bay-side bedrooms. “Our season isn’t just Memorial Day to Labor Day, there’s stuff going on every weekend. 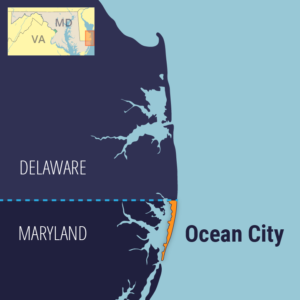 … It’s just a vibrant and exciting place to be, here in Ocean City,” Pursel said.